Map 1. 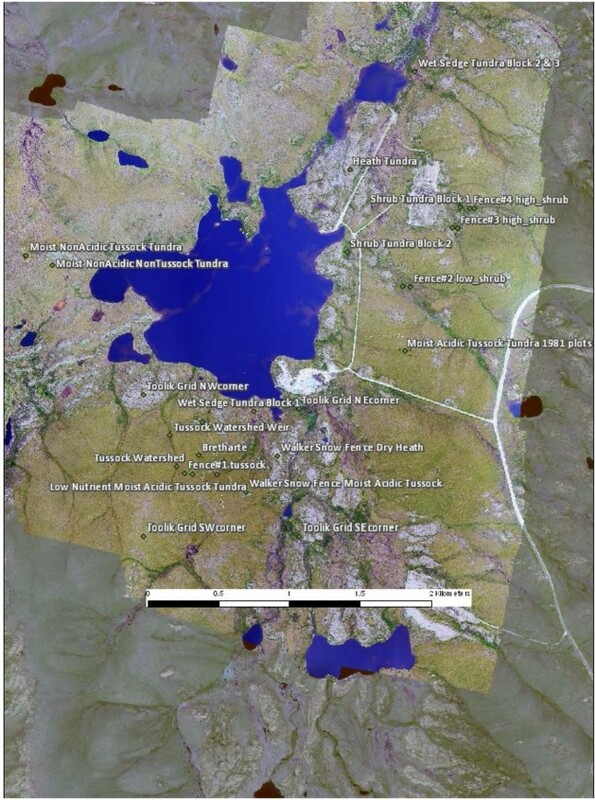 Overview showing major research watersheds near Toolik Lake. Map 2. 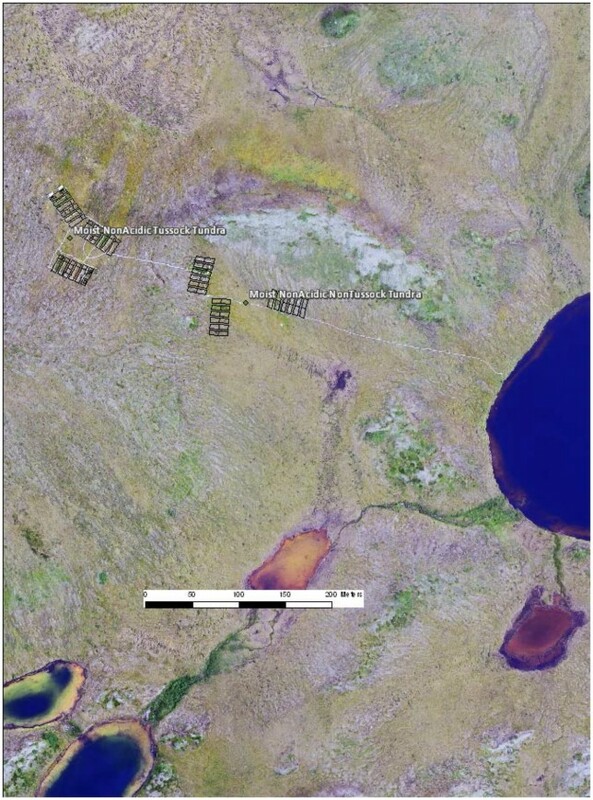 Arctic LTER terrestrial research sites near Toolik Lake. Map 3. Arctic LTER Wet Sedge Tundra Experimental Plots Blocks 2 and 3. Map 4. Arctic LTER shrub tundra, 1981Moist Acidic Tundra, and Bret-Harte snow fence sites #2-4. Map 5. 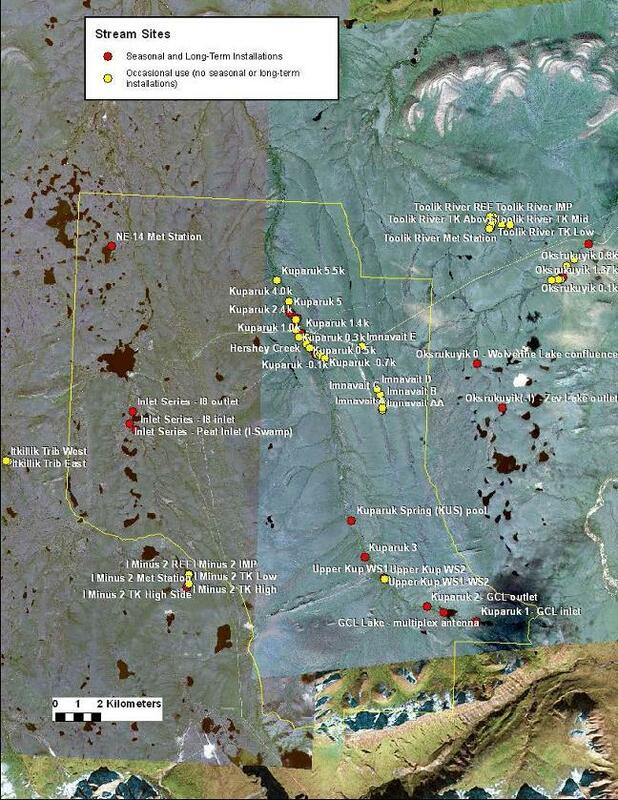 Arctic LTER Non Acidic Tundra sites. Map 6. 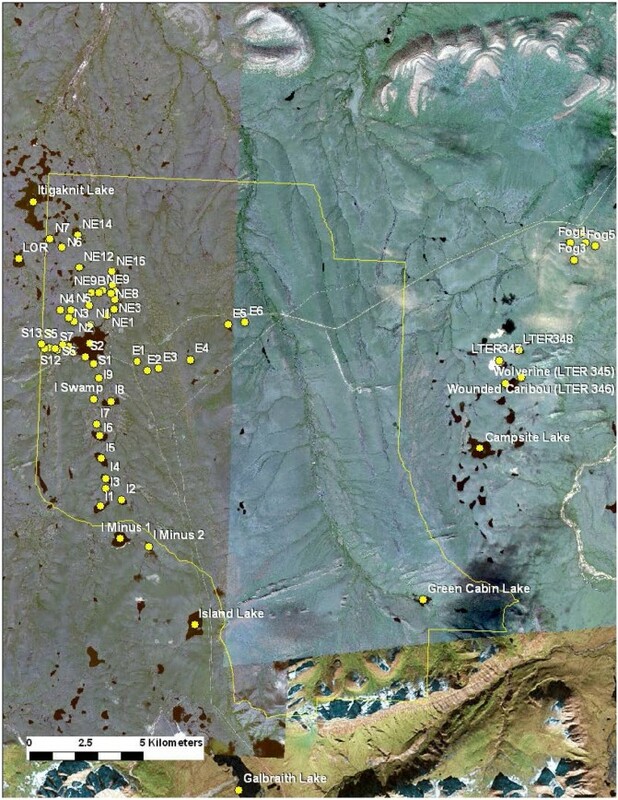 Toolik vegetation monitoring grid and Arctic LTER research sites within the grid. 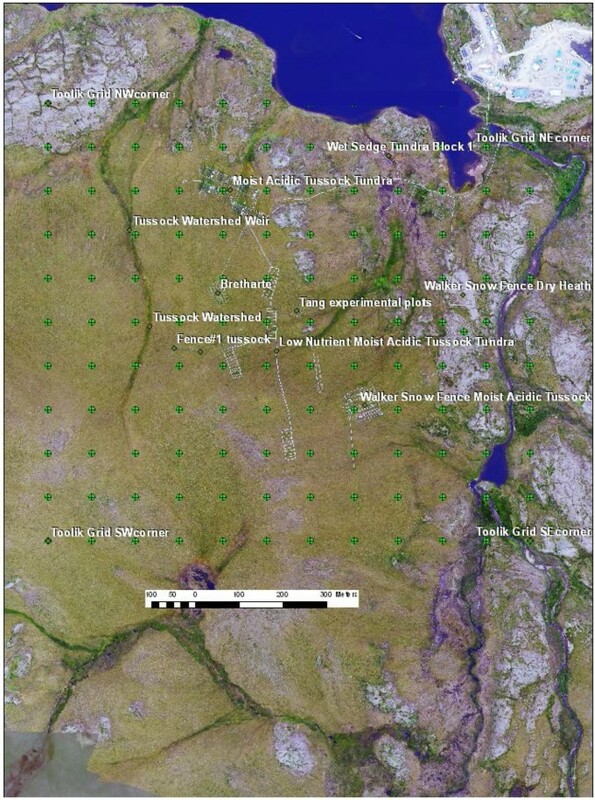 Map 8. lmnavait vegetation monitoring grid and Arctic LTER terrestrial research sites at lmnavait Creek. 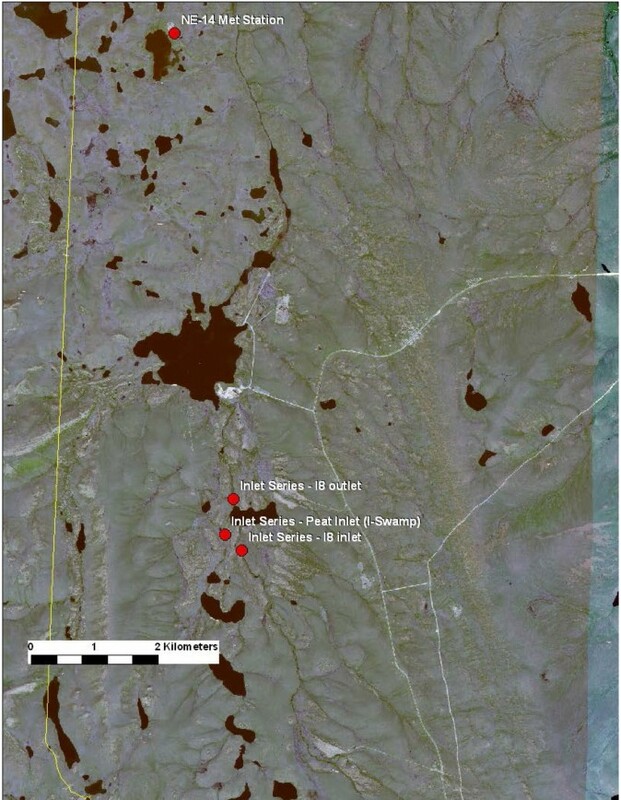 Red dots are data logger locations. Map 9. 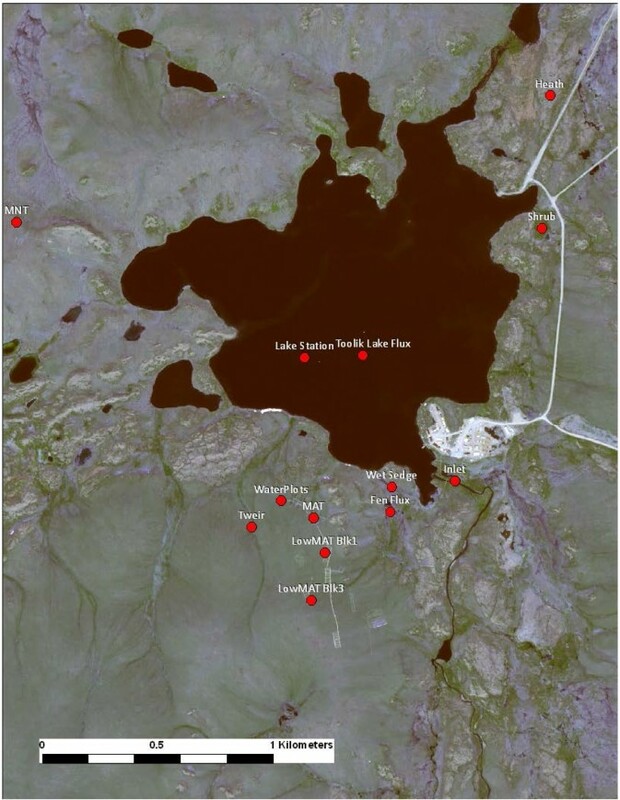 Arctic LTER Lakes research sites. 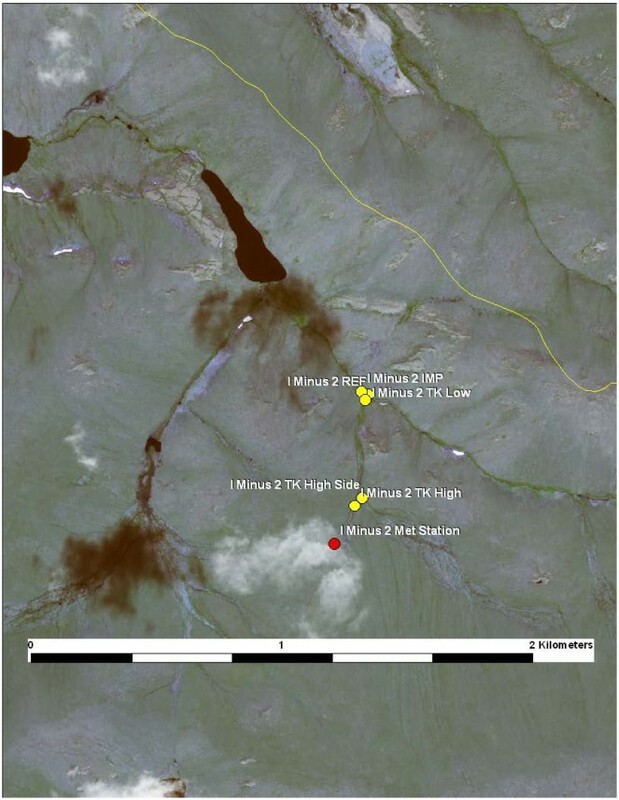 Yellow outline is the Toolik Lake Research Natural Area. Map 10. Closer view of Arctic LTER Toolik Inlet Lakes. 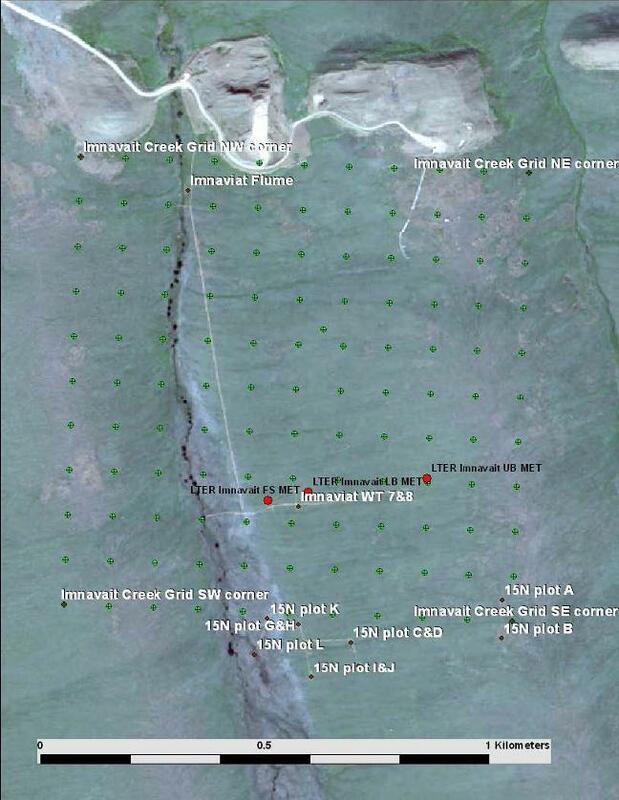 Yellow outline is the Toolik Lake Research Natural Area. Map 11. 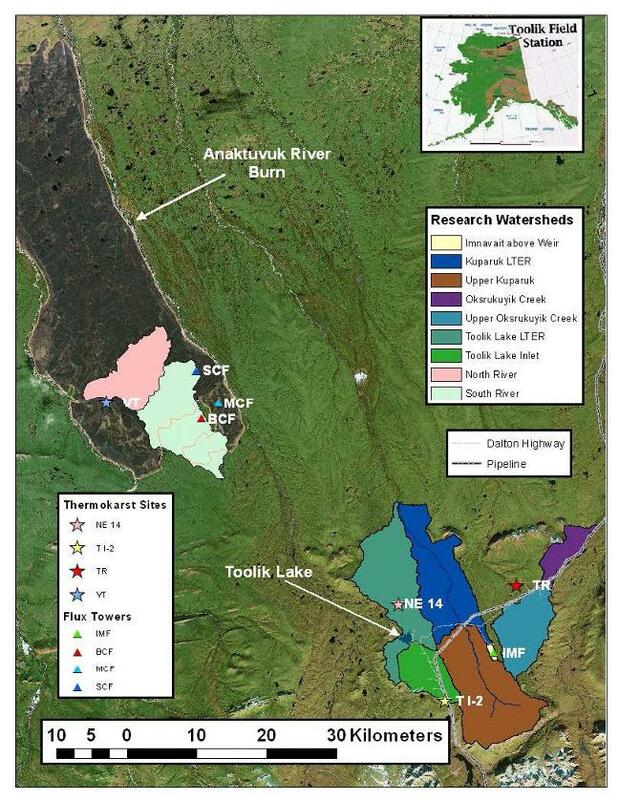 Overview of Arctic LTER Streams sites. Red sites are visited multiple times per year, yellow once per year or less. Map 12. 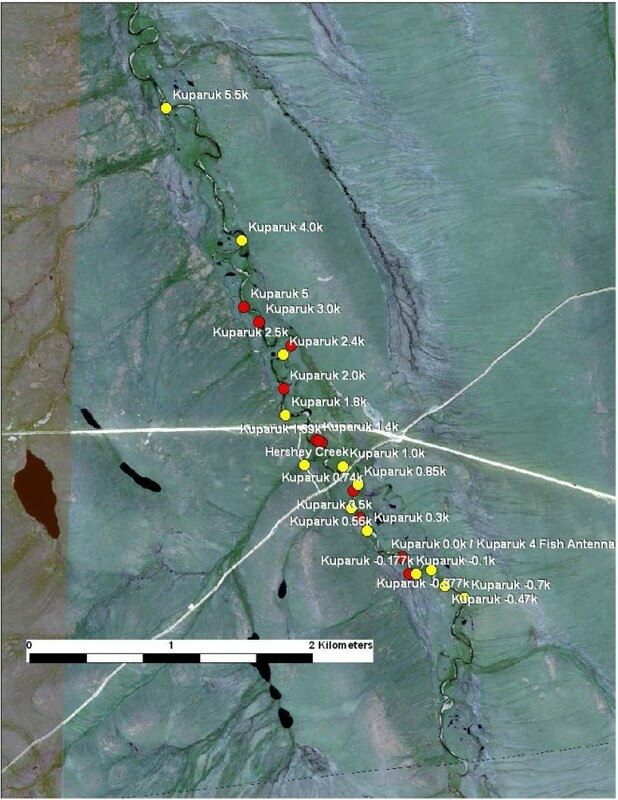 Closer view of Arctic LTER Streams research sites in the Kuparuk River valley. Map 13. 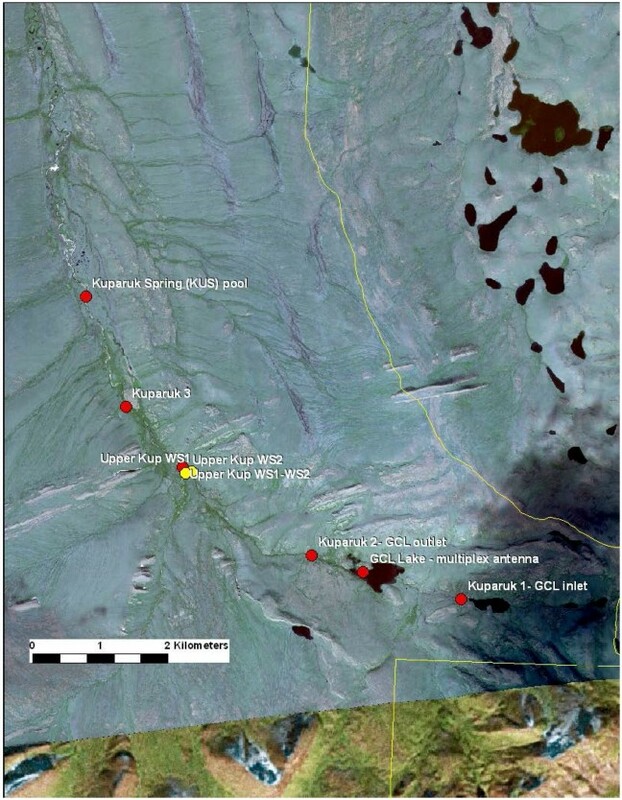 Closer view of Arctic LTER sites in the Kuparuk River Headwaters. Map 14. 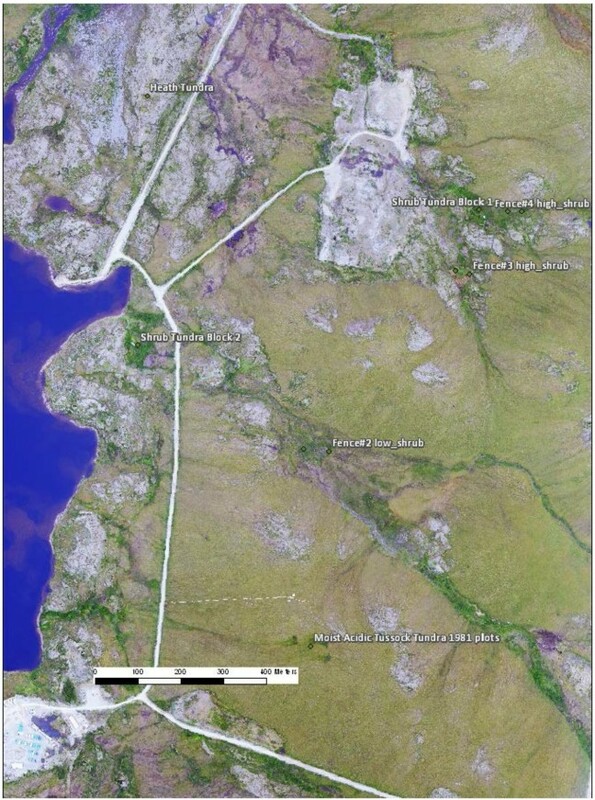 Closer view of Arctic LTER streams research sites in Toolik River and Oksrukuyik Creek. Map 15. 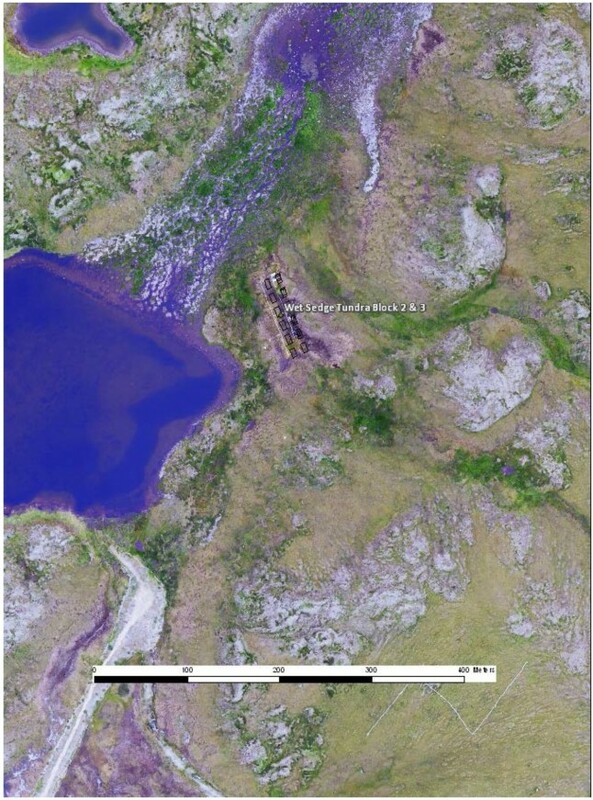 Closer view of Arctic LTER Streams research sites in the Toolik Lake inlet watershed. Map 16. 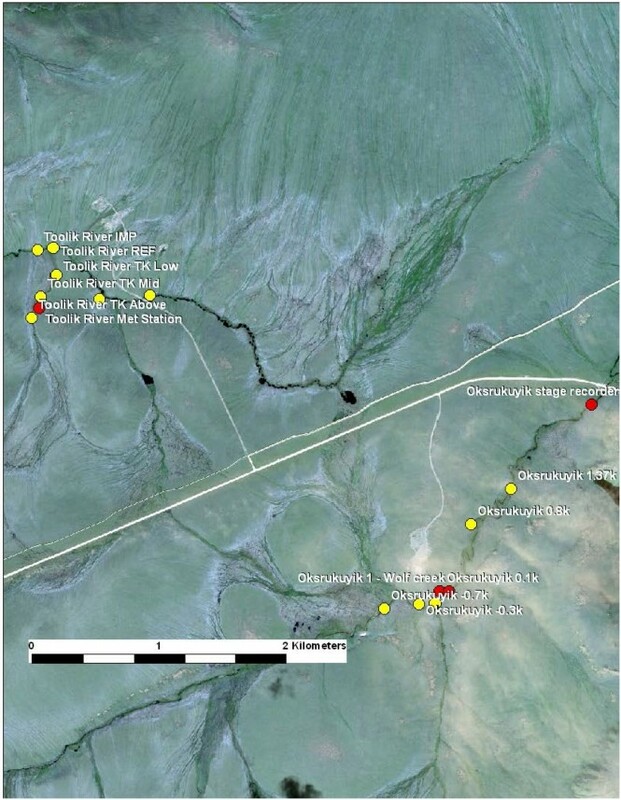 Arctic LTER Streams research---Data logger locations in the Toolik Inlet watershed.